Bollywood legend Amitabh Bachchan, who turns 70 on Oct. 11, celebrated the milestone Wednesday night with a special gala for family and friends in Mumbai. 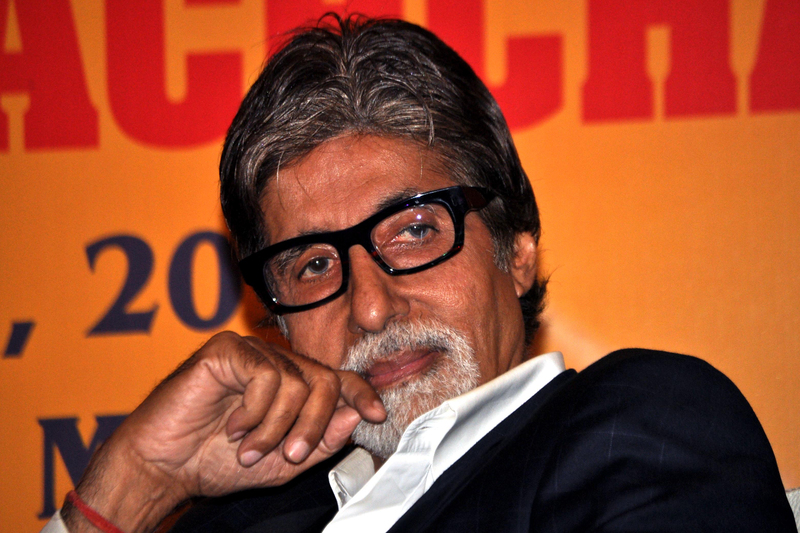 Nicknamed the "Big B," Bachchan has more than 180 Indian films to his credit and millions of followers on Twitter. The birthday has been discussed in the Mumbai media endlessly. On Thursday, Bachchan rode through his Mumbai neighborhood waving to fans. The sidewalk outside his home was filled with flowers sent by fans. Bachchan has a small role in Baz Luhrmann's "The Great Gatsby," starring Leonardo DiCaprio and Carey Mulligan, and reportedly took no salary for the job, which marks his Hollywood debut. He has been awarded dozens of international cinema prizes, including France's Legion of Honeur. In June 2000, he became the first Bollywood star at London's Madame Tussauds Wax Museum and just this summer, he was given the honor of carrying the Olympic torch during one of the last legs of its relay in London. On his blog Wednesday, Bachchan wrote: "I may not get the time, or have sufficient energy to write in today, so I come in early to express my grateful thanks to all that have wished me, and merely say this ..
"Without you my life would have been incomplete ..
"I am whatever I am today because of all the above ... it has been so from the beginning, it shall remain so till the end .."
Bachchan and his wife, actress Jaya Bhaduri, have a daughter Shweta Nanda, who is married to businessman Nikhil Nanda; and a son, actor and producer Abhishek Bachchan, who is married to actress and former beauty queen Aishwarya Rai.